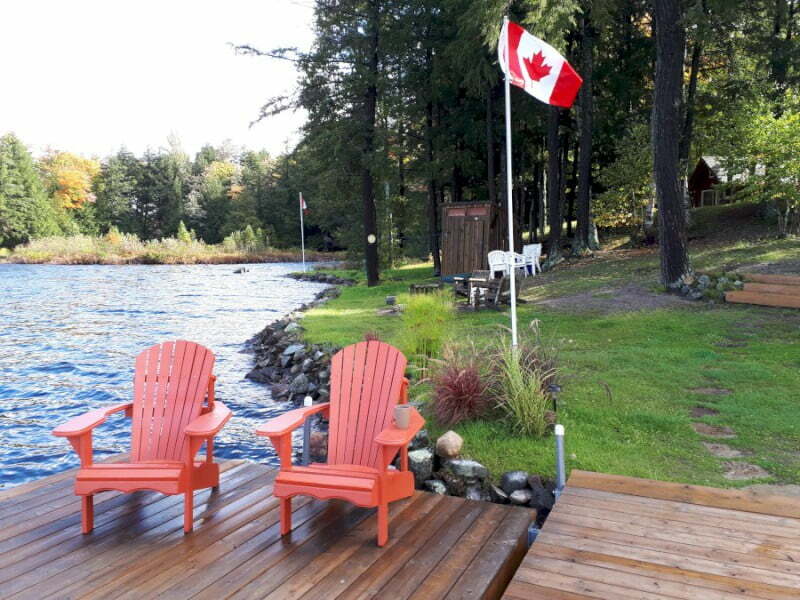 If you like the idea of a traditional cottage on a tranquil lake that has only 2 other cottages, you've found the right spot. 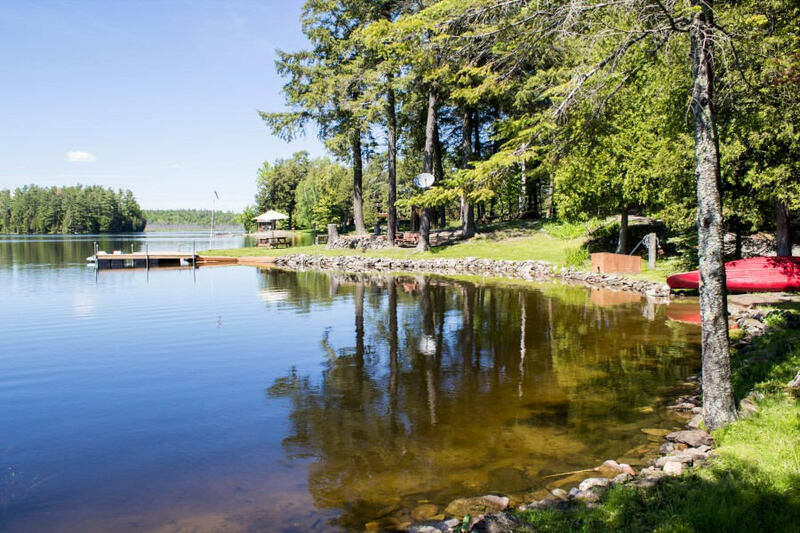 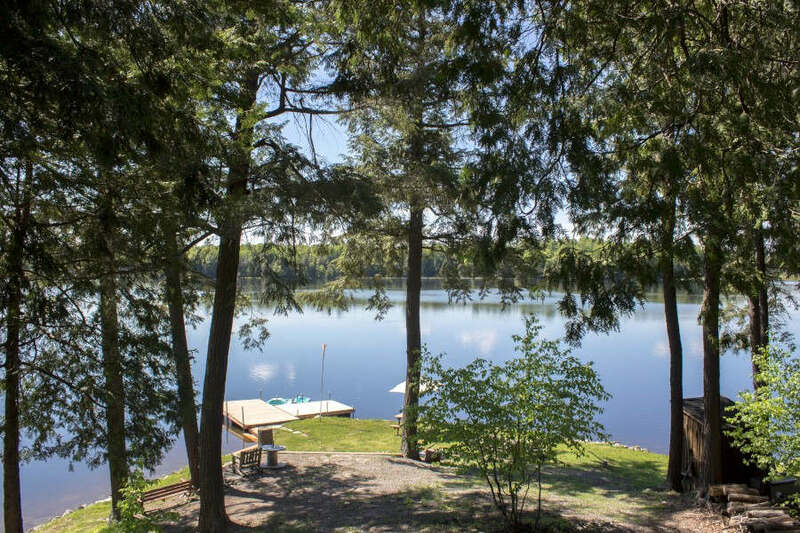 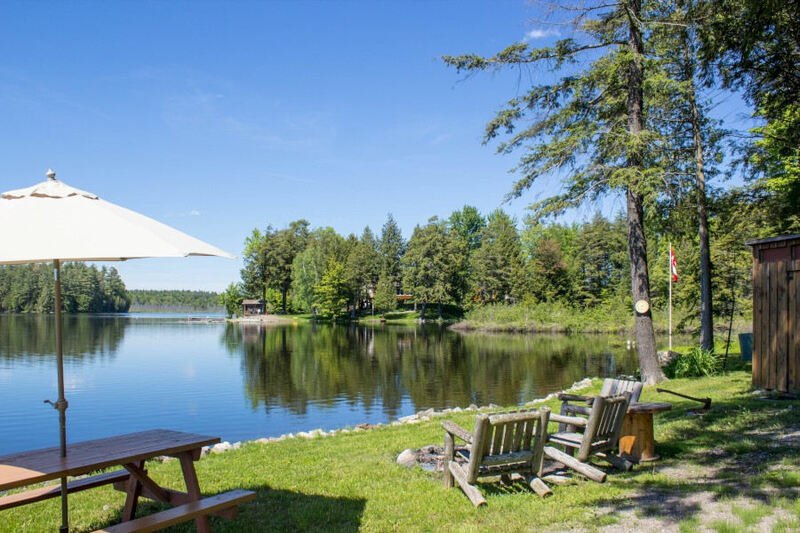 Wagon Wheel on no-motor Robinson Lake is in a stunning location if you want tranquility, lots of nature, peaceful canoeing and privacy. 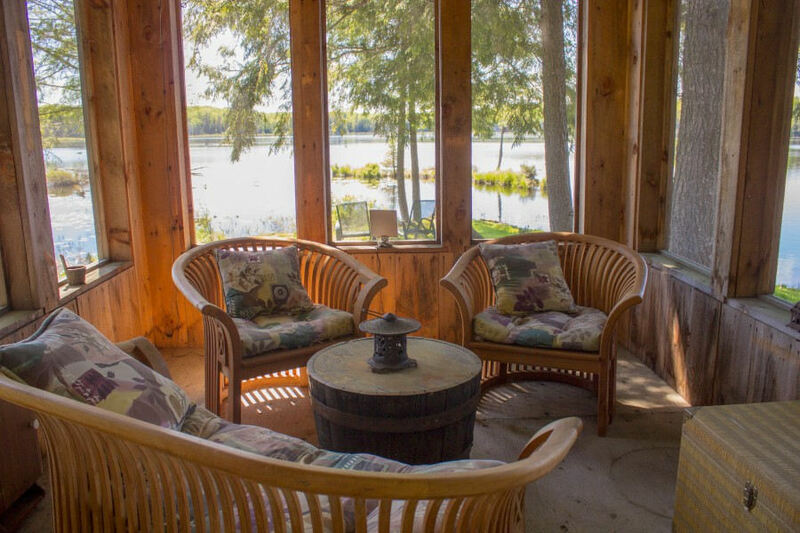 Situated on a point, the water is the focus and there are two docks, a delightful waterside gazebo, and a firepit for nights spent out-of-doors roasting 'smores and sharing stories. 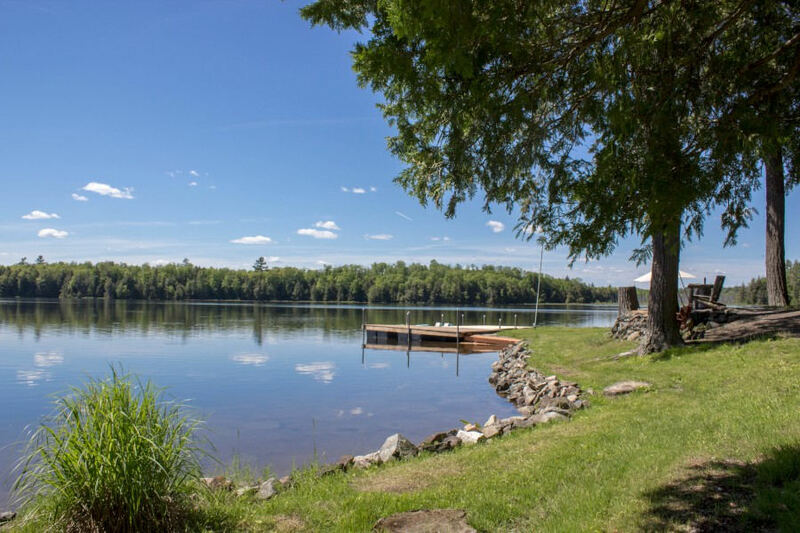 Take one of the watercraft out for a few hours of fishing, sit on a dock and soak up the sun, or swim in the clear sparkling water. 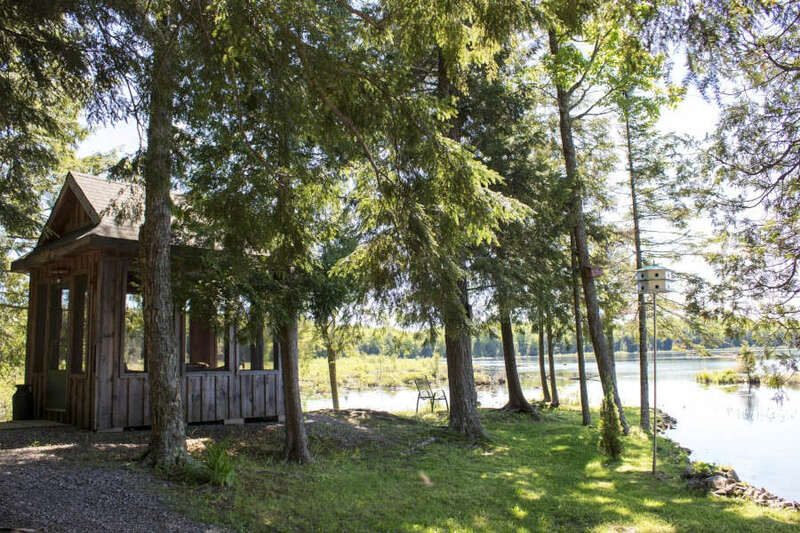 Outside, there is a neat Bunkie with a queen bed, and even an old-fashioned outhouse for those die-hard traditionalists! 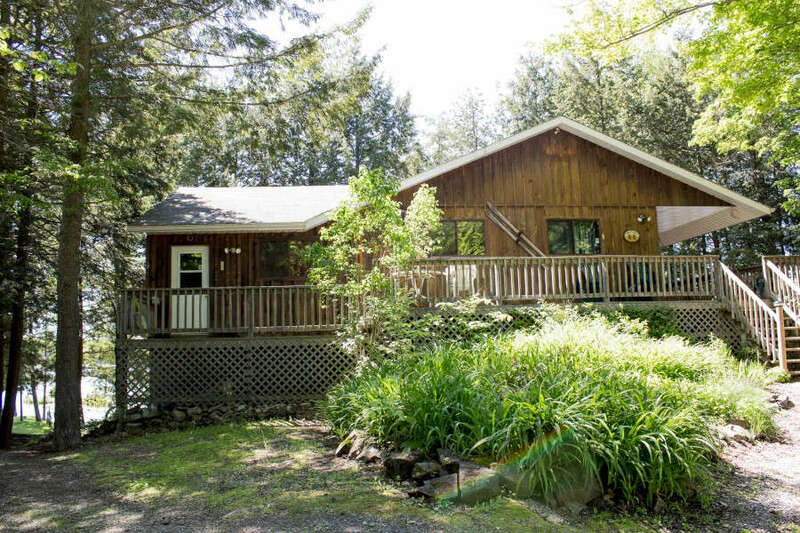 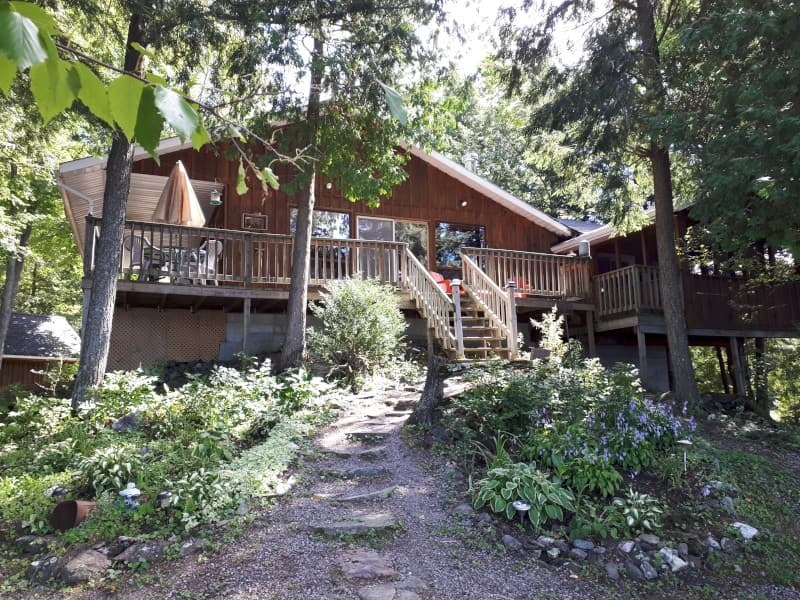 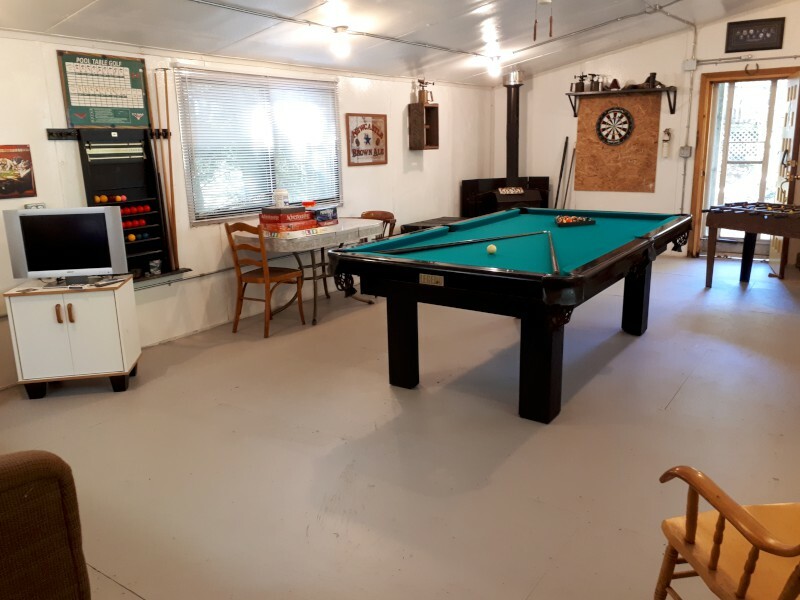 Although this cottage will suit purists who hate the idea of dry-wall palaces taking over in cottage country, it hasn't escaped technology, so you'll find wifi, satellite TV and good cell coverage. 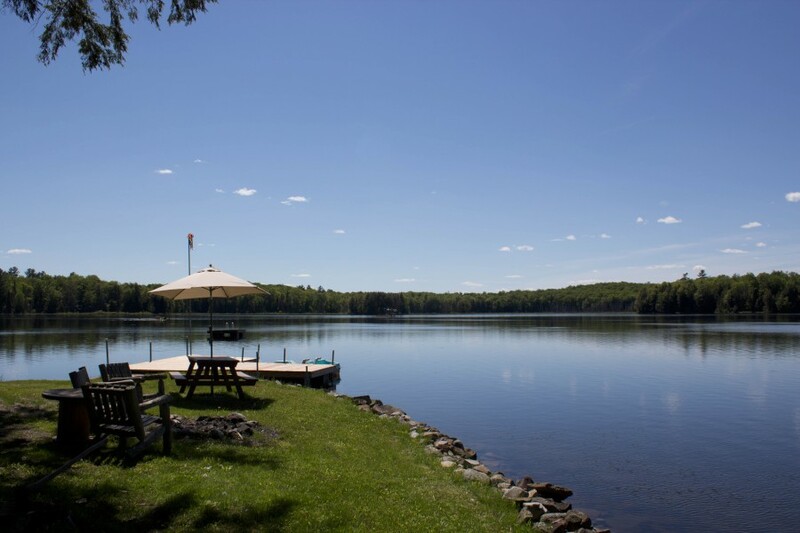 That should keep the kids happy while you sit back, relax and soak up the peace. 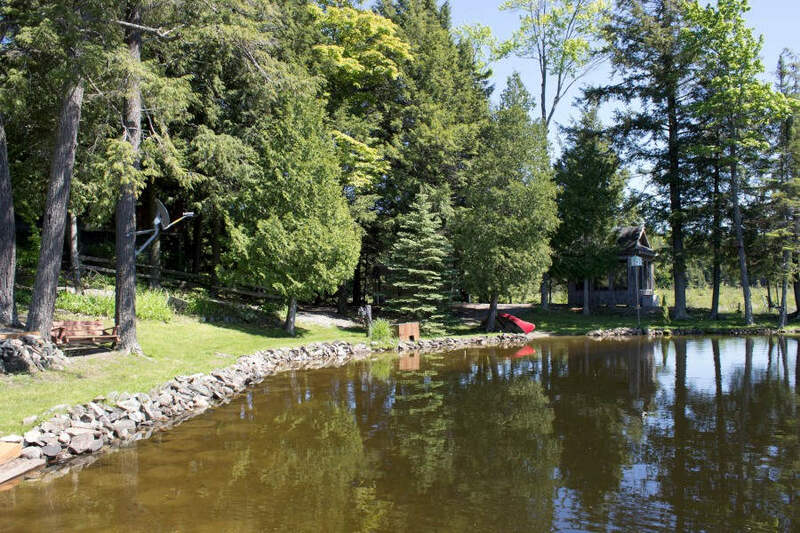 Just 20 minutes south is the town of Madoc where you'll find supermarkets, a wonderful bakery, LCBO/Beer Store etc. 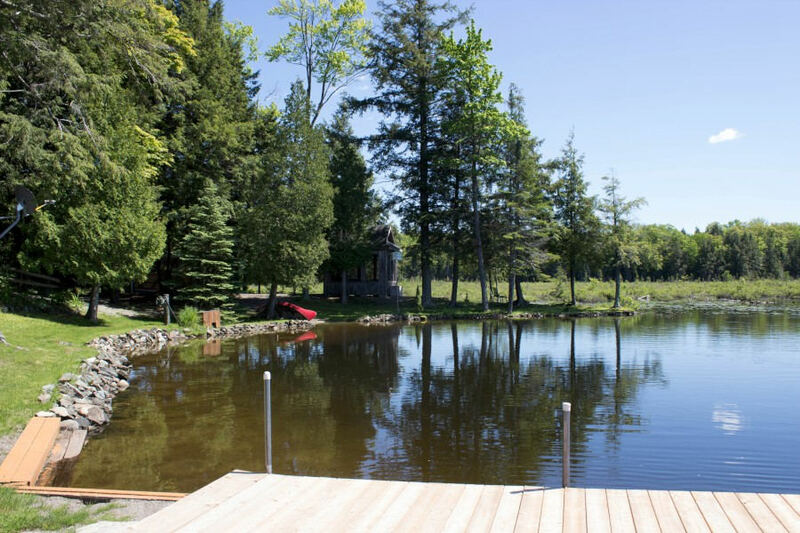 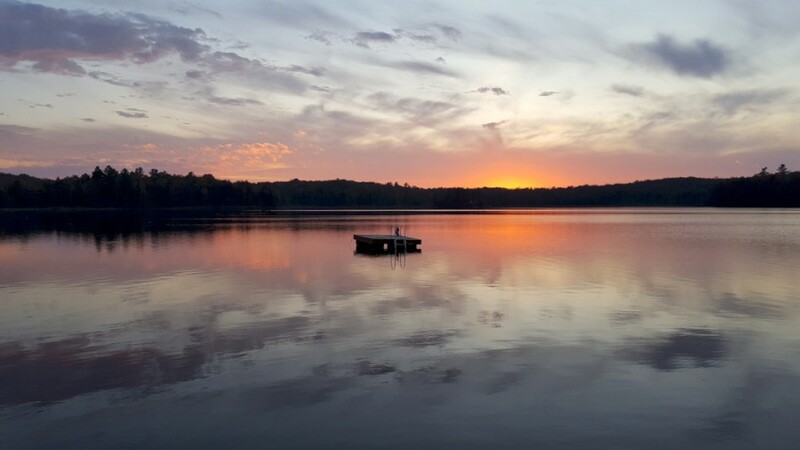 Situated on a point, the water is the focus and there are two docks, a delightful waterside gazebo, and a firepit for nights spent out of doors roasting ‘smores and sharing stories. 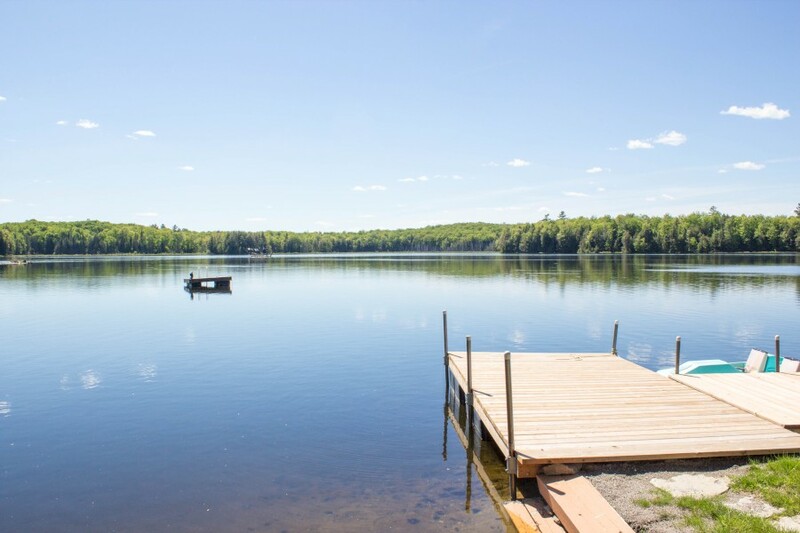 Take one of the watercraft out for a few hours of fishing, sit on a dock and soak up the sun, or swim in the clear sparkling water.